Vastu Shastra is an ancient architecture system which has its origin around 6000 BC. The ancient word ‘Vastu’ is a Sanskrit word which translates to ‘Science of Architecture’ and it represents a conduit between nature and man. It provides various laws on the construction of the homes along with peaceful, healthy and wealthy richness. According to the mythology, it is said that Lord Brahma has asked Vishwakarma to come up with an architectural system that includes the power of five elements – air, earth, water, space, and fire. This system helps in organizing the space within the structure based on the functioning with respect to one another. Through Vasthu Shastra, one can optimize the usage of the structure and this is why the concept has been passed down to generations and generations through centuries, till the point where it has put science in question. Vasthu Shastra – The knowledge of sacred architecture in India has existed in the oral tradition since before the Vedic Age, some five thousand years ago. The generation today can’t understand the importance of Vasthu Shastra in the modern construction which is why many people disregard it when they are buying a home or completely regard it, forgetting all the other factors. Most of the people doubt the relevance of Vasthu Shastra in the current environment and scenario. The younger Indians are of the current generation adapt new ways rather than sticking to the old standards which become obsolete to the new homes. However, the current day generation is struggling for a plot of air in the multi-story apartments is restricting the scope of Vastu Shastra. The general scenario today says that Vastu Shastra is only for the rich people who can spend extra bucks for changing the building plans to suit the science. There is another school of thought which says that Vastu is necessary for building cyclone-resistant and nature resistant buildings. This is specific with Vastu as it helps people to stay at peace, healthier and wealthier. Vastu Shastra can’t be as redundant as millennials think or can’t be as exaggerated as older generation think. It stays somewhere in between where things don’t get haphazard and it is in synchronization with the climatology. India is a developing country and common people are still superstitious about certain things which are beyond their understanding. 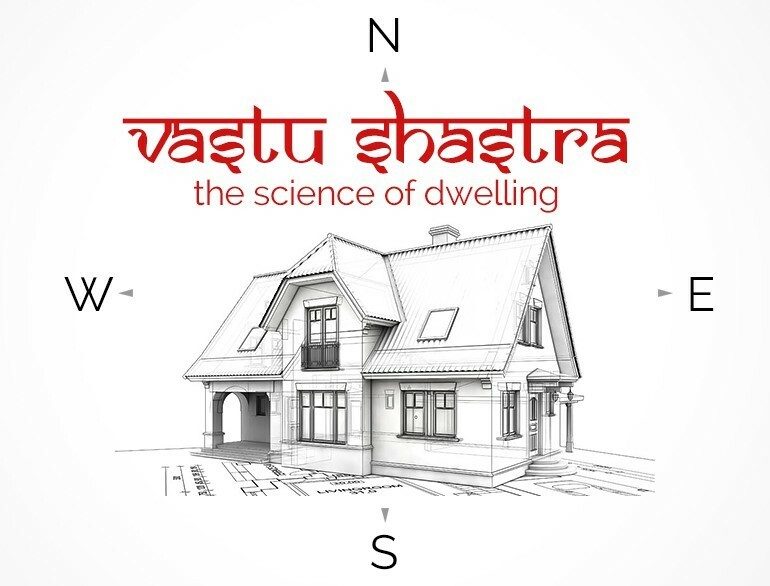 Vastu Shastra is a Vedic science and an architectural technology which is time-related and not eternal. During the ancient times, the architects were aware of the structural and construction technologies that are used, till today. Vastu Shastra of modern-day buildings is nothing but the ancient science, but the only difference lies in how we are approaching the concept. It infers unknowingly, while we still follow ancient science which is derived from the Vedic sutras. There are many realtors in and around Kerala who follow Vastu Shastra while building and designing the complexes. The common man doesn’t take the burden of worrying if his home is void of Vastu Shastra or not! Adherent to Vastu Shastra, the medieval and ancient canons on the architecture and city planning has gained significance among the urban systems and the well-educated people in India. While it is difficult to predict if it’s the fad or if it becomes a way to build offices, houses, and factories; there are things that can happen in the upcoming years. Interestingly, you can’t find a single person who is practicing Vastu Shastra to have an academic background. There are a lot of genuine people however who have studied the basics of it and have been trying to imply it in a significant way. 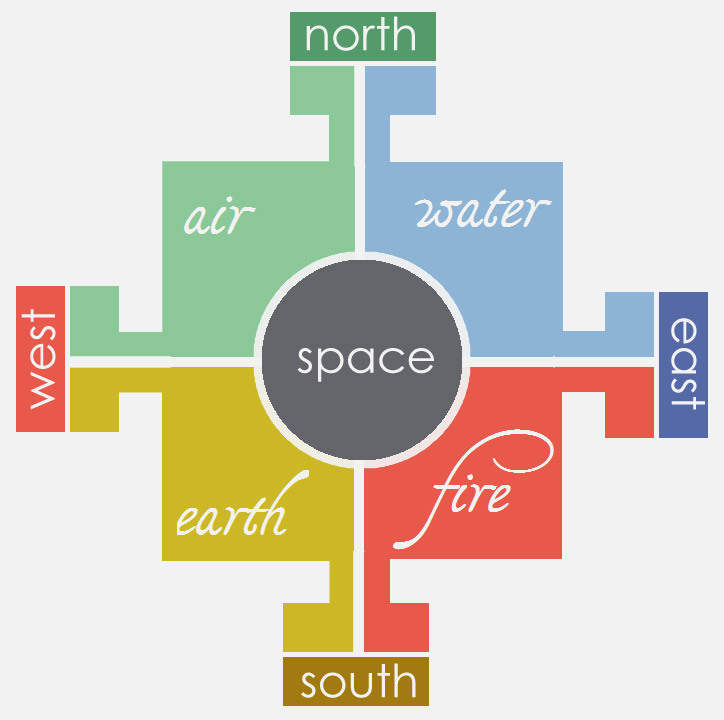 Vastu Shastras are nothing but canons dealing with the subject of the environment, also known as vastu. Putting things differently, one can regard them as codification which is nothing but practicing good design of cities, buildings in order to provide the conduit for the human life in harmony with the physical, psychological as well as metaphysical forces. The Vastu Shastra provides guidelines for the design and planning of the cities and buildings which can bring peace to the inhabitants. Vastu is nothing but the geographical energy that abides the existence of a person. 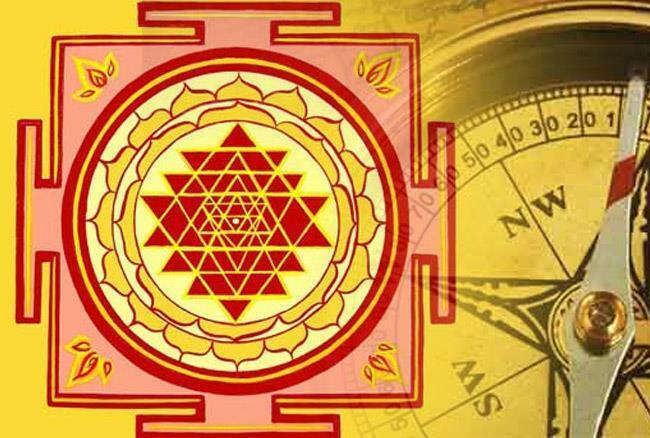 Vastu Reva Vastu stands for the materials which are forms of different types of energies in the field. According to science, the earth can be considered as a living organism with a lot of consciousness beaming about it as it permeates through each atom. It teaches us to understand the energy surrounding us as well as the ways where you can turn this energy into usable forms, based on our requirements. If we live in harmony with the balance of nature considering the mental and the physical health, this entire universe will be safeguarded accordingly. Energy is the basic essence of life and there are several elements that can be included in the energy like the gravitational forces, the electromagnetic radiations, the nuclear forces, and finally the pranic forces. 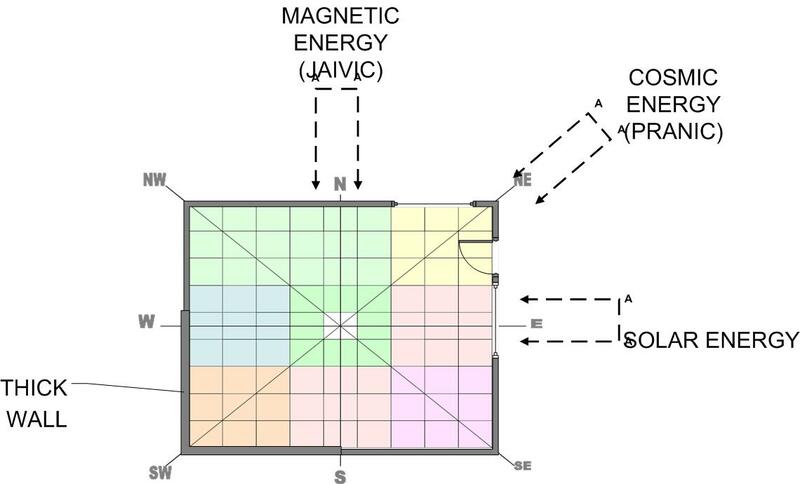 All of these forces include various types of energies like potential, magnetic and kinetic energies. Pranic energy is considered to be prevalent through the universe in each material, be it solid, liquid or as. The positive energy of a person is beneficial and negative energy is considered as harmful. Vastu is designed in a way to maximize the generation as well as the accumulation of positive energy. Climatology is nothing but the scientific study of the climate. 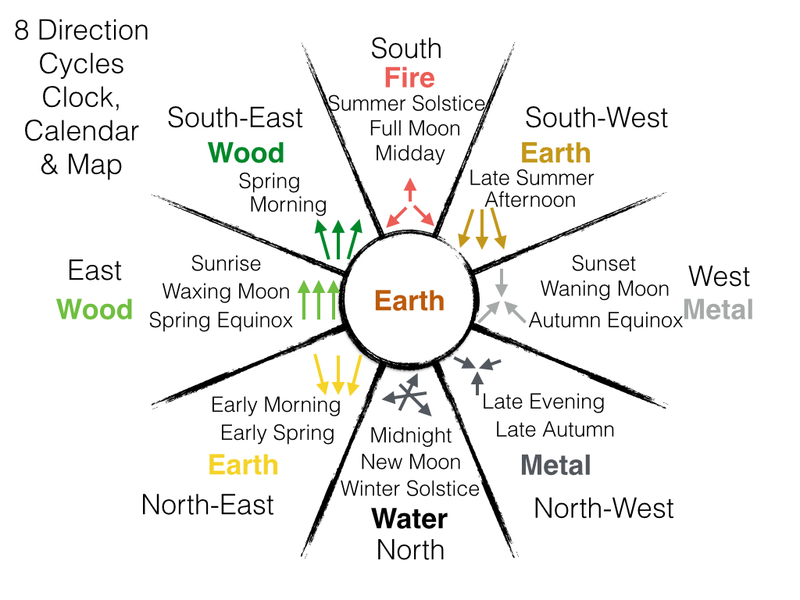 It is defined as weather patterns which are averaged over a certain period in order to get a perfect pattern of the atmospheric conditions. The study of climatology helps to build the construction easily. The natural elements are studied in this area for an effective output. Sufficient natural light is responsible for the comfortable living while pure and fresh air that blows in and out of the house can keep things in order for you. Vasthu Shastra also deals with a sufficient supply of water for living as well as drinking. It helps in trapping the energy through the formation of different shapes and forms using appropriate materials. It is imperative to realize that there is a viable relationship between the elements that help in making the buildings. By taking corrective measures, one can yield maximum benefit out of the suitable forces and the five natural elements. People happily live in a pleasant environment when they have a balance of everything. All the vasthu principles make an attempt to get the maximum out of the bounty. Vasthu is also responsible for bringing happiness and prosperity because your psychological health tends to be better with adequate light and ventilation.  Together, Vasthu is the Indian science of Architecture. Hindu mythology explains the history of how things have come to pass. In the beginning, the first living creature was Brahma. He is the creator of the Universe and the first god in the Hindu triad: Brahma, Vishnu, and Shiva. But, Brahma had a nasty habit of experimenting with some rather impractical creations. Out of the Void, Brahma created a large and monstrous creature that grew so rapidly and large that its shadow fell across the Earth as an eternal eclipse. Then this ever-expanding Monster began to devour everything in its path for nothing could satisfy its insatiable hunger. Shiva and Vishnu complained bitterly to the elder Brahma. They begged that something is done before all of Creation was destroyed by this Creature. Brahma listened to these complaints and it made him aware of his sovereignty to the other creations. He then called forth the Asthadigapalakas, the devas of the eight cardinal directions. Together they overpowered the Great Monster and in one cosmic tackle, they held it flat against the Earth. The god Brahma jumped in the middle and held the Monster down. He then employed forty-five gods to join him and help hold it in place; their positions can be seen on the classic Mandala of the Vastu Grid. But, the Monster lamented “Why am I being punished for being the very thing you made me?” And, alas, Brahma heeded to its complaint. “We shall compromise”, Brahma said. So, he made the Monster immortal and promised that he would be worshipped by any mortal that built a structure over him. The Monster was pleased and Brahma then named him Vastu Purusa and blessed him with these words: “All works on the earth will have to be commenced and concluded only after propitiating you”. In essence, without respecting Vastu Purusa nothing will happen on the earth. The mandala is also given an orientation with Surya, the sun-god, occupying the central point of the periphery to the east; Varuna, the Lord of winds, to the west; Kubera, the Lord of Wealth, to the north; and Yama, the Lord of Death, to the south. The rest of the squares are occupied by the other minor gods. With the positions thus assigned and the beneficial or otherwise attributes of gods established through other myths, it is possible to assign the activities of living, working and support facilities over the mandala and therefore the layout of a city or a building. The mandala is, of course, the most popular aspect of the vastushastras as it is constantly referred to for the location of the various activities in a building. The proper texts themselves, however, deal with a wide range of topics relating to built-environment. 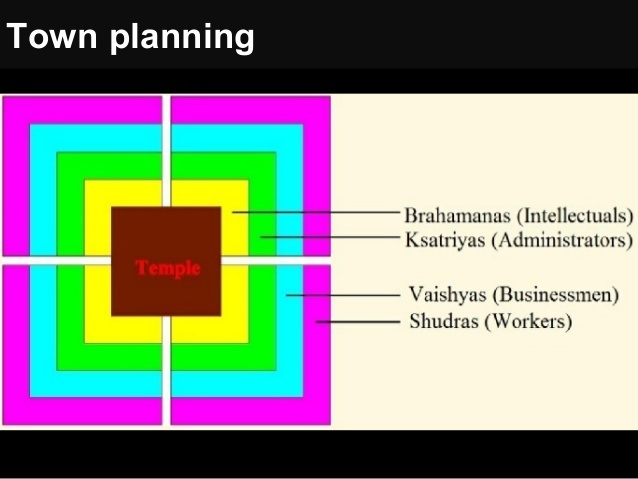 These include site selection, soil testing, building materials and techniques, the design of temples separately by a number of floors, palaces, dwellings, gates, the image of the deity, their vehicles and seats even including the making of an image of a linga for Shiva temples. All these are treated in different chapters of the canonical texts. 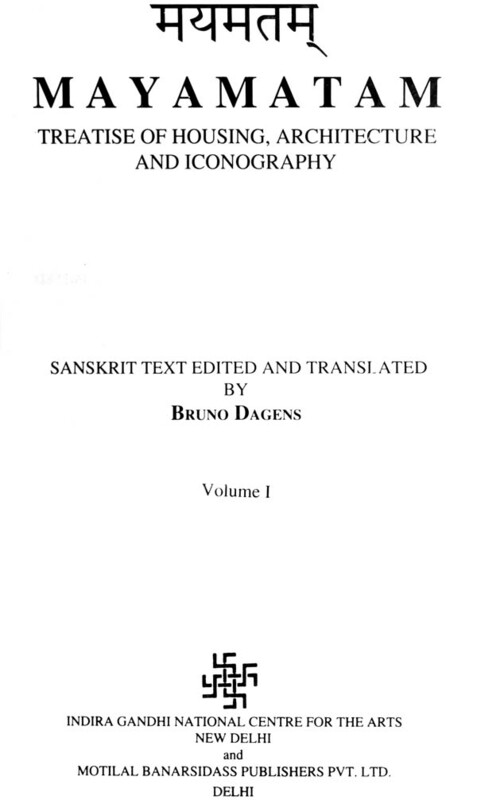 In the ancient Indian lend, Mayamata is a text which is written in Sanskrit. According to the beliefs and statistics, it is believed as the text which is created around a thousand years ago describing the science of the architecture. It embodies the earth as a place where both the immortals and mortals live. This text is known as Vastu Shastra. The word vasthu is derived from vasu, which translates to the earth. Shastra on the other end is nothing but science or technology. All the other translations define vasthu to the shelter, a place where people an dwell. This place can either be the earth itself, the land or the structure in which we reside. Together, they describe the methodology involved in constructing a site that brings wellness and as well as harmony to the people who reside in it. Vasthu Shastra is an ancient architecture that has assumed significance in the world. The intention is to provide a big picture with some variant examples so that the subject of vasthu can clearly be shown as nothing but the entertainment. Vasthu should actually be regarded as practices of design including buildings and cities that are provided. We place them in physical and metaphysical harmony providing various guidelines for the planning so that it can bring health and wealth to us. With the passing of ages, empires have been created and destroyed and this led to the formation of many new careers. As the careers started appearing they also started fading like the longer seasons while forming shadows into the eternity. Most of them vanish into the oblivion and all of those that have remained grateful to us in this world full of relics, are finally nowhere present. According to the statistics, time is the destroyer of things and it vanquishes even the invincible empires leaving the remnants to be marveled by the remains of the once grateful things. However, we excel at these past wonders especially the architectural constructions, be it the pyramids, the Parthenon of Athens or the cathedrals of the Rome or the City of Bejing which has been forbidden at once. The beauty of the ancient architecture along with its grandeur can impress all at once when we remind ourselves of them. The modern society has viewed all of the ancient buildings as either functional or decorative elements, some of them as tributes to god as well. The recent studies in the sacred architecture titled as Vastu Shastra by Keith Critchlow, the Royal College of Art in London has uncovered the hidden dimensions revealing a far connection between nature and architecture which is in existence. Critchlow has come up with one of the best-known theories of architecture which state that the basic principles which are on the physical level are integral with the structure of the metaphysics. Through the world, it is often hard to find a place where ancient architecture is developed as a science. The ancient temples and palaces are the finest constructions that are ever made. This is why Taj Mahal is listed as the 7th wonder of the world for so many years to the Pagodas of Tamil Nadu. Everything involving the Himalayan Hill to the Jagannatha Puri temple, there are elements that people should admire for years and years. 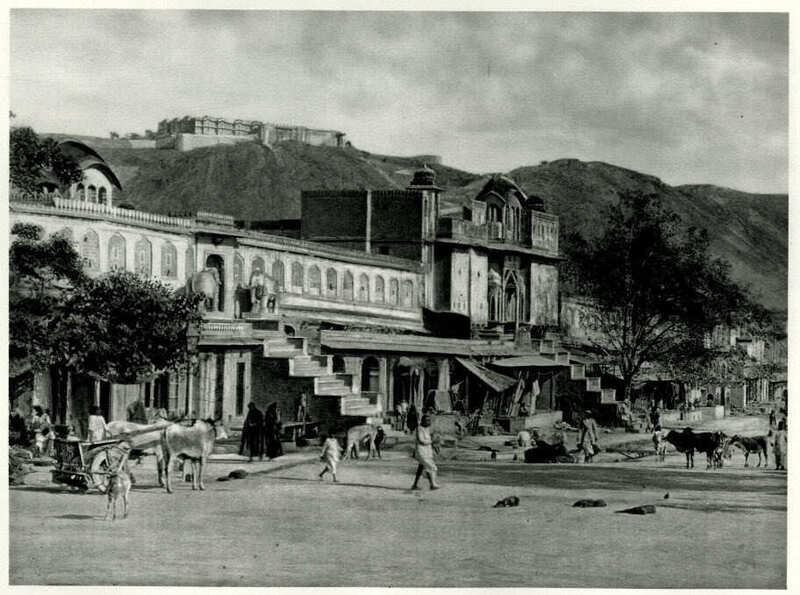 Among the most famous examples of a town planned according to these standards is the example of Old Jaipur which is based on a Prastar type town described in several texts. Built-in 1727 AD, the final form and structure of the town shows a skillful manipulation, according to the Shastra’s prescriptions, of the square mandala right from the whole to the smallest of the plots, the location of activities, and distribution of the caste groups. The well-designed city Jaipur which has never known war is a symbol of prosperity, peace, and friendship. If we keep listing, India remains as a veritable treasure house full of sacred elements. In fact, there are various examples of the sacred architecture in our country rather than the whole world. From the oral tradition of speaking about science to recording it in the form of Sanskrit mantras, Vasthu Shastra has come too long, when it is compiled under a single title. According to the Indian authorities, the Vasthu Shastra is probably the oldest architectural treatise which is existent in the world. The word shastra means literature or more accurately “enlightened literature.” Among the vastushastra texts are Mansar, Maymata, Vishwakarma Vastushastra and Samrangana Sutradhara which is credited to Raja Bhoja. The others are believed to have been authored by ancient saints and sages. 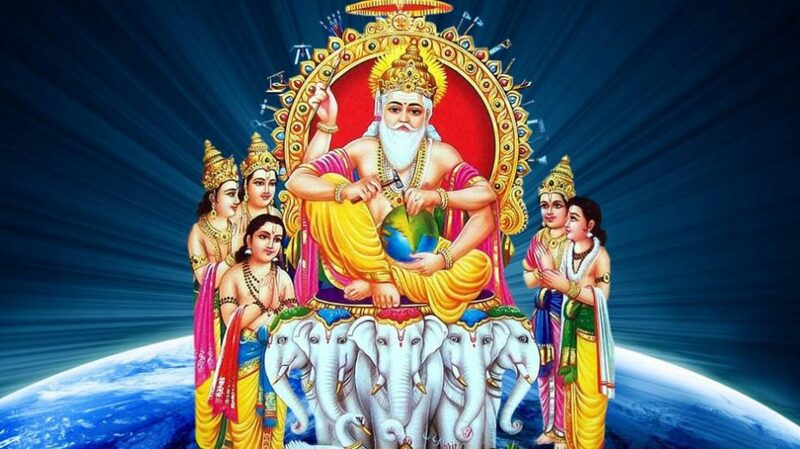 These include Lord Vishwakarma who is an architect to the gods in the Nagara or northern traditions and Maya who is an architect to the gods in the Dravida or Southern tradition. In the northern tradition, Maya is regarded as an architect to the danavas or demons. To give some idea about the size of the text, Mansar comprises 5400 verses organized in a total of 70 chapters. Puranic Texts Such As Agni Purana, Matsya Purana And Their Agmic Versions In The Dravidian Traditions. For example, a person can always mention the site selection which is dealt both with religious and as well as scientific terms. Therefore, both modern architecture and vasthu shastra plays an important role in digging the pit, refilling it accordingly with the excavated earth giving us scientific treatment. If a lot of earth is left out, the soil can be in a compact with good capacity to load bear! There is a similar type of test checks that go through the seepage of the water in the soil. If this seepage is quick, the soil is not good. The religious prescriptions usually suggest that if the soil is white enough and has a ghee smell, they are good for the Brahmins. If the soil is red and has a blood-like smell, it is good for Kshatriyas. If the oil is yellow and smells like seasum oil, it is good for Vaishyas. If it is black and if smells like rotten fish, it is good for Shudras. The shastras also deal with the town planning processes where they form towns that are suitable for various purposes like the hill towns, the administrative buildings, the religious towns or the coastal towns. All of these structures are built to make sacred places. Based on the studies carried by the scholars, it is suggested that the texts are written largely between the 7th-13th century AD which follows the Gupta period. All of these texts are found in major languages of medieval India. The earliest references of vasthu shastra are found in the vedas, which deal with other subjects including carpentry as well. Vastushastras can also be called as companion texts to Chitrasastras and Shilpasastras that deal with icons, painting, and sculpture respectively. Among all the texts, the devoted ones are around vasthu, shilpa or chitra. They follow the parameters of ancient Indian traditions showing that all of them are important to be a part of this creative science while endeavoring on a larger extent. 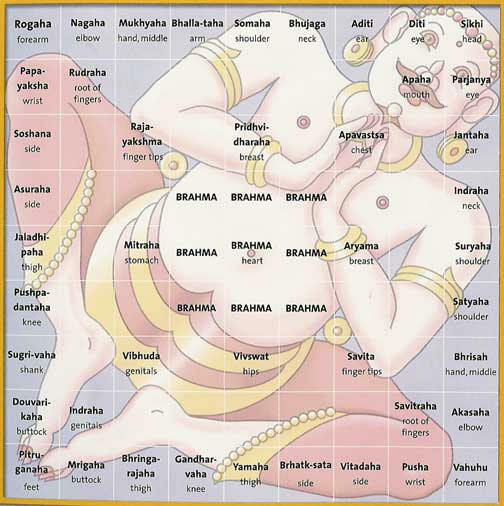 Among the vasthusastra texts, there are Mansar, Samrangana, Vishwakarma, Sutradhara which are credited to Raja Bhoja. The other texts are believed to be authored by the ancient sages and saints including Lord Vishwakarma. Lord Vishwakarma who is an architect to the gods in the Nagara or northern traditions, and Maya who is an architect to the gods in the Dravida or Southern tradition. He is said to be responsible for the creation of this world including life. The content, the nature and the format of the Vasthu Shastra texts can be discussed in complete contrast with the books that are published. Many people have published different kinds of texts on vasthu Shastra out of which around half a dozen of them are published in a span of one year. But these texts share little in common. According to the practitioners’ texts, I can suggest that there are more ritualistic and broad practices with puranic texts like Matsya Purana, Agni Purana and Agmic versions in the Dravidian background. There are parallels that you can draw like Brigusamhita, which is used by the palmists as a reference which itself has pretensions about astronomy. The practitioners in the world are not only unresponsive but also silent when questioned about the aspects. One of the texts includes suggesting the locations of the weighing scales, as different plots of the factory. Indians are not the only people in recent times who are being troubled with the signs. Across Asia, there has been huge practices and disbeliefs about the practices. There is another vasthu shastra known as Fengshui, which deals with the same texts. What is Feng Shui, if you ask? Feng shui, the Chinese text is known as the Chinese geomancy. It is a pseudoscience that originates from China, claiming to use the energy forcing to harmonize individuals with the surrounding environment. The term, Feng Shui translates to ‘Wind water’ in English. There has been a cultural shorthand which is taken from the passage of the burial classic, recorded in the Guo Pu’s commentary. Fortunately, Feng Shui is also practiced over the world across the countries of Southeast Asia, the Far East. It is either you believe or you don’t believe which is why you either practice or don’t practice. It is one of the five arts of the Chinese Metaphysics that are classified as physiognomy, discussing the architectural terms and invisible forces that bind the earth, universe, and humanity together, called as qi. Feng Shui is used to orient the buildings often as the spiritually significant structures as tombs, structures, and dwellings. Depending on the style, feng shui is used on the auspicious site which is determined by references to feature bodies like water, compass and even stars. The feng shui texts deal with the classical manner of arts and architecture. It means that irrespective of what we are doing, with clarity. The content of the construction is achieved by the texts while paraphrasing the Einstein’s observation for similar works. It also means that a temple which is made on the Ganga banks is as perfect through patronization of different people. Even the uninitiated can learn and practice the range of connected activities selecting from one site to another, in terms of elemental details. There is a reason that some people believe that the suggestions get reflected in the climatic suitability or on the efficiency of the human activities. The entrance from the north side of the building ensures that it has cooler shade beside the wealth flowing in Lord Kubera’s direction. The next entry from the east brightens the morning with the initial rays of the sun, starting the new day on a cheerful note. There’s a metaphysical touch to all the elements concerning the fears of the known hand while attempting to grasp the nature of the world. Between the modern day architecture and vasthu shastra stands the desire to do things right, in harmony and also in conformity with the world and the forces. Architecture is a known human act. It requires segmenting out the omnipotent things in order to find balance with the exterior of the construction. It is also known as a carved out segment of the brahmanda, the cosmic space which is used by human beings. We find it rare that the architectural challenges capture the divinity of brahmanda in folds. When it happens, the architectural experiences exalt for the coming generations as it happened with Khajuraho, Mahabalipuram and Kailashnath! ⟵Introduction to Pyramids – What exactly is the Great Pyramid?